Life-long Maintenance Service: &gt; During the warranty period, we can repair or replace the defective parts for free. 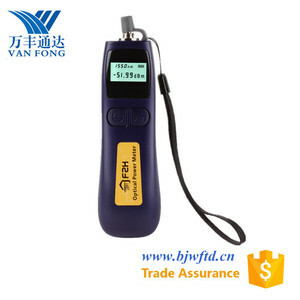 &gt; After the warranty time, we also repair the defective parts, but only charge part cost Beijing W&F technology Co. Our company is one of the biggest communication test instrument suppliers which is located in Beijing - the capital of China. 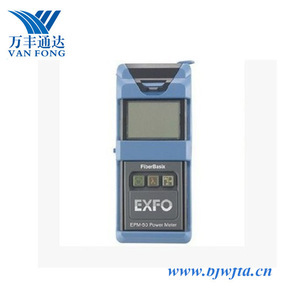 visual fault locator vfl for drop cable with fiber optical power meter 20mw laser pointer This kind calibration type optical power meter is for handheld installation, operation and maintenance of optical fiber network special design of a precise, durable, convenient portable test instrument. 5 for up to 240 hours of continuous working time 4: Linear (mW) and nonlinear (dBm) indices are simultaneously displayed 5: Unique design of general interface 6: Interfaces such as FC/SC/ST are versatile without complex transformations 7: Quick response without preheating 8: Optional automatic shutdown function 9: Backlight display with optional switch Product Display Factory picture Certificates Packing & Delivery We are a professional fiber optic product manufacturer with Many experiences of successful foreign trade. Other way Tel: +8617855264685 Wechat: CSW19961013 If you give a start for our business relations, we will provide satisfactory product and services for you. Optical power meter refers to the instrument used to measure the absolute optical power or the relative loss of optical power through a fiber. By measuring the absolute power of the transmitter or optical network, an optical power meter can evaluate the performance of the optical equipment. When combined with a stable light source, the optical power meter can measure connection losses, test continuity, and help evaluate fiber link transmission quality. Alibaba.com offers 4,150 laser power meter products. About 32% of these are fiber optic equipment, 6% are laser equipment parts, and 1% are power meters. A wide variety of laser power meter options are available to you, such as free samples, paid samples. 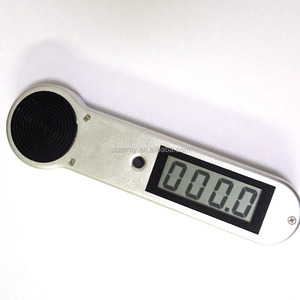 There are 4,052 laser power meter suppliers, mainly located in Asia. The top supplying countries are China (Mainland), India, and United States, which supply 99%, 1%, and 1% of laser power meter respectively. 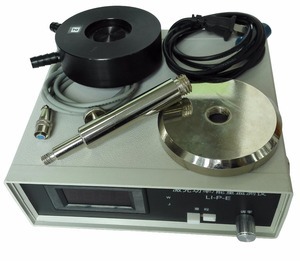 Laser power meter products are most popular in Western Europe, North America, and South America. 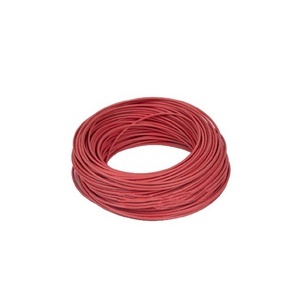 You can ensure product safety by selecting from certified suppliers, including 1,382 with ISO9001, 279 with Other, and 192 with ISO14001 certification.